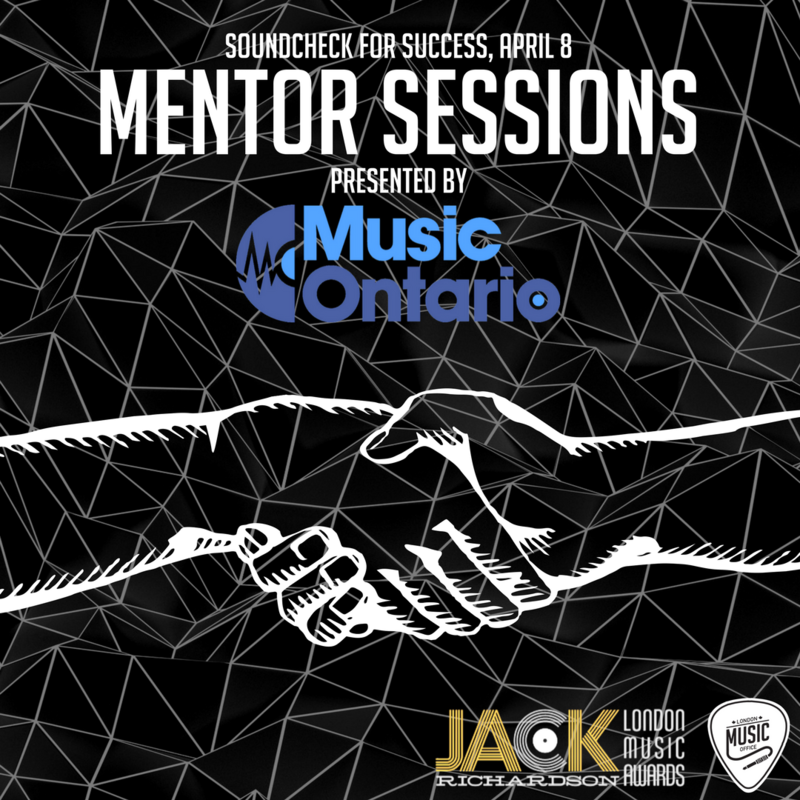 Jack Richardson London Music Week and MusicOntario are joining forces to present the Mentor Sessions! The four sessions will be candid roundtables where you will be able to have a more in-depth conversation with the expert panelists. You must register beforehand, as space is limited and spaces are allotted on a first come, first served basis. CUTTING THROUGH THE NOISE (Round Table): A look at where you should be spending your time and energy to maximize awareness of your music. 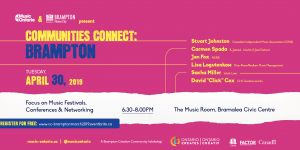 When: April 8, 1:00 – 1:50pm Spots Available: 8-10 DELEGATES: Julian Tuck (CBC): In a career now in its 36th year, Julian Tuck has done a little bit of everything. Concert promoter while still in high school; shipper/receiver in a record warehouse; record store clerk; radio host and writer; 15 years in national promotion at major and indie labels and now programming for the CBC across its varied platforms. In any given week, he selects music for CBC’s Radio One network, Radio 2, more than a half dozen CBC Music channels and CBC Country, heard across North America on SiriusXM. Erin Carroll (Cadence Music Group): A passionate, hard working, and personable young professional with five years of experience in communications and publicity spanning from the arts and culture industry to the technology industry. Strong client and media relationships developed while handling publicity and marketing efforts for festivals, artists, brands and technology products. Strong written and interpersonal communication skills – quickly building relationships, crises management and answering to diverse client needs. Directed PR team to strategize and execute comprehensive publicity campaigns. Very organized and capable of working independently or collaborating with cross-functional teams to reach a final goal. As the Publicity and Account Coordinator at AB Co. I have worked alongside clients such as Montreal Jazz Festival, HIGHS, Slow Down Molasses, Old Man Canyon, The Glorious Sons, Brave Shores, Good For Grapes, and Sneaky Dee’s. PRODUCERS PANEL (Round Table): Following the success of last year’s inaugural producers panel, Garth Richardson and an ‘A List’ of producers channel their inner Jack to ask, What Would Jack Say? We’re excited to have Bob Ezrin on the panel this year. When: April 8th, 2:00 – 2:50pm Spots Available: 4-5 DELEGATES: Garth Richardson Dan Brodbeck Aaron Murray Immanuel Ramirez ANATOMY OF A CAREER (Round Table): What does a manager and their team do for you? How do you build your team? Who does it consist of and when do you need it? 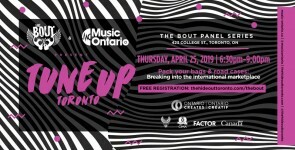 When: April 8th, 3:00 – 3:40pm Spots Available: 8-10 DELEGATES: Mike Denney (MDM Recordings): Mike Denney is a man with a smile and a vision, acknowledged by many as a fervent champion of the Canadian music industry. A member of multiple boards, his passion for country music and leadership of MDM Recordings Inc. has led the indie label and management firm to become an award winning company with an international presence. Kathryn Hummel (Hummel Entertainment): Kathryn Hummel, President of Hummel Entertainment has extensive knowledge in the music industry, working in and behind the scenes of prestigious artist related companies such as Canadian Music Week, Indie Week and FACTOR, where Hummel drew from her experiences to further develop her knowledge base. SEEN & ‘HER’D (Round Table): An honest and candid discussion about the gender gap within the music industry. Where things stand and what’s being done to move forward. When: April 8th, 3:50 – 4:30pm Spots Available: 4-5 DELEGATES: Carly Thomas: Carly Thomas is an accomplished singer/songwriter who was born in Thailand and raised in Argentina, France, and various parts of North America. Aside from her powerful lyrics, Thomas’ music is characteristic of various sub-genres including modern folk, rock, and country. Having played everywhere from street festivals in Paris to the folk circuit in Manhattan, Thomas is a seasoned performer with 3 studio releases under her belt. Mary Aziz-Stoetzer: Aziz-Stoetzer is a songwriter, author and music publisher who specializes in copyright administration. 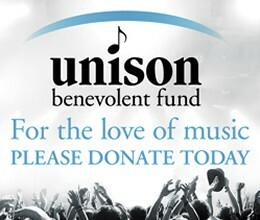 Her songs can be heard on the radio, on stage and in classrooms around the world. Performers who have recorded her songs include Beverley Mahood, McAuley, Jackie Ungar, DuffleBag Theatre, Deborah Hay and French singer Jacquot. Sarah Burke: Sarah has been programming music and hosting radio shows since 2010 with experience in small and large markets and several different formats. She’s written for a national music blog covering music headlines, music festivals and interviewing both Canadian and international bands . She was the Afternoon Drive host at FM96 in London and a part-time announcer at 102.1 The Edge in Toronto until February when she joined the programming team at Sirius XM Canada. Sarah’s priorities while hosting and programming for channels like The Verge, Iceberg, and Sirius XM Country focus on developing emerging Canadian artists and feature programming around their music. Sarah has a wealth of knowledge for emerging artists looking to be featured on terrestrial or satellite radio. Stacy Zegers: Recording and performing original music professionally for 5+ years with specialties in guitar vocals, harmonica and drums. Stacy’s recorded her first album in Nashville in 2009. Stacy has extensively toured across Canada as well as Holland, Germany, US and the UK.